Poore’s Propane & Oil would love to be your trusted propane delivery and propane services company! We have plenty of propane storage to meet our customers’ needs and we’re experts at propane installation, too! Poore’s knows what’s important to you when it comes to keeping your home warm and comfortable. More than just a residential propane supplier, Poore’s is a full-service propane company that offers a range of money-saving products and services such as automatic deliveries and energy-efficient propane equipment. While no one can control factors like the weather and world market prices, we also offer options to make costs easier to manage, such as our budget-friendly SmartPay plans. Besides our fair prices, we provide great value in other ways—including 24/7 emergency service (for automatic customers) and personal, family-style customer service—value you don’t get from just any propane supplier. Why do people choose propane? Propane provides terrific value and it’s a domestically made, eco-friendly alternative for heating your home or business. It’s also an efficient option for running a wide range of home appliances that can help lower your energy bills. Propane puts less wear on equipment, so your system is easier to maintain, breaks down less and lasts longer—making a propane system a better investment than electric-based systems. 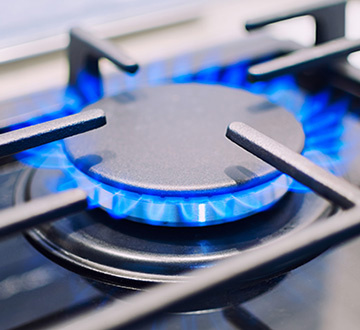 And then there’s the extensive range of household appliances and other equipment that can be powered by propane: water heaters, ovens and ranges, outdoor lighting, patio heaters, pool and spa-tub heaters, outdoor grills and indoor and outdoor fireplaces, not to mention backup generators. Lastly, propane gas is extremely safe and nontoxic, it can’t harm soil or groundwater, and it has a very narrow range of flammability. Read more about safe propane. If you have questions about how you can increase your comfort and save with propane, contact us today.